With the summer sun now daring to shine, you may well be inspired to spend some time out in the garden for the first time this year. Decking creates a great focal point for enjoying your garden; it provides a firm surface which is ideal for garden seating areas, BBQs and displaying potted plants which help make it a great entertaining area. If you’re looking to have decking fitted into your garden, or you want to revamp the decking you currently have, we can be of assistance. 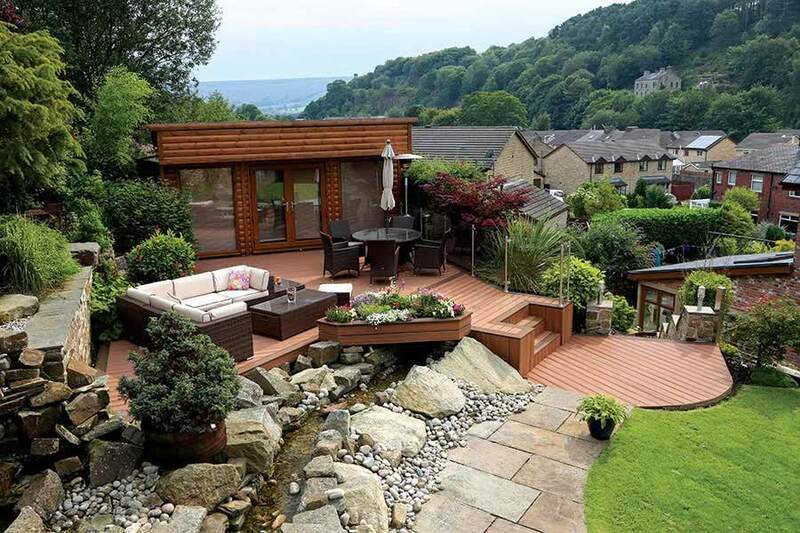 Here’s a selection of the 10 best decking ideas so you can make the most of this essential space. 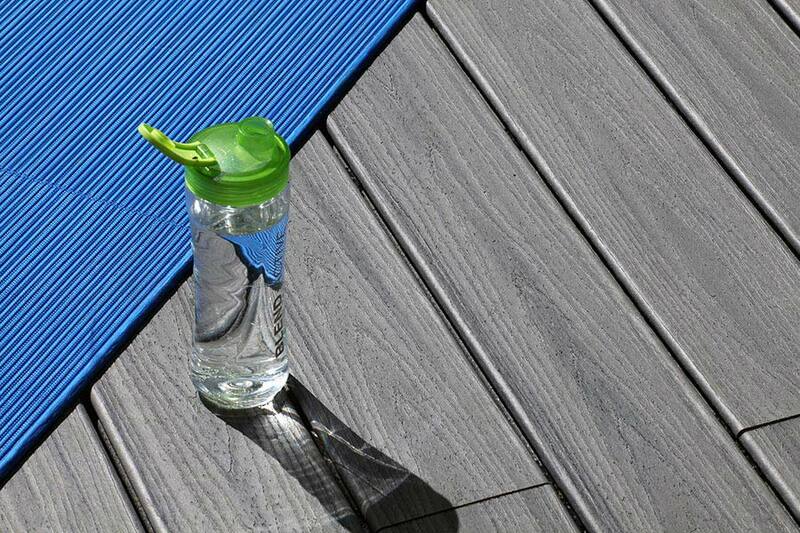 The decking materials and design you choose will form the fundamental basis of your decking. You have a lot more freedom with this than you think. Play with shapes – curves add an interesting dimension and will help to reflect the natural shape of a garden. Choose the shape, colour and type of materials carefully, and you will have a solid foundation for the rest of the project. 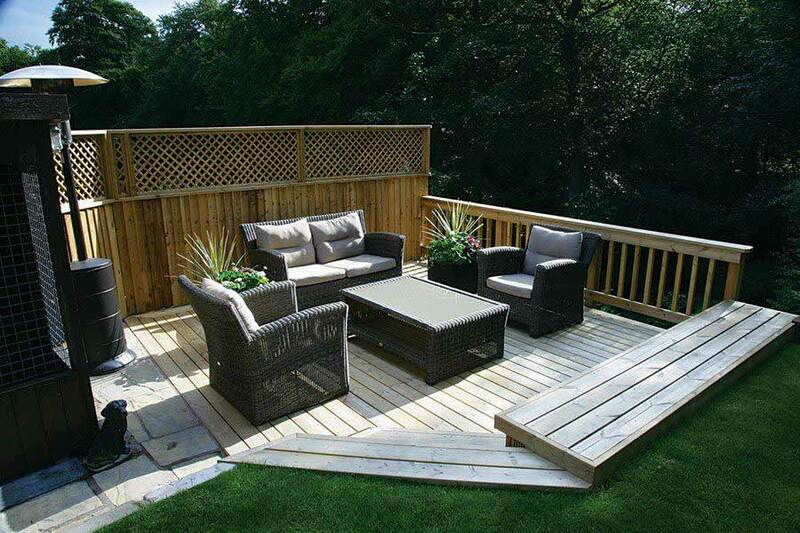 If you have the space, stretching your decking out onto different levels will give the illusion of having more space. Even if it’s only a step or two’s difference, the distinct levels will help you create different types of space, so you can make the most out of your project. The great British weather can be temperamental, so in the build of your decking, think about incorporating some shaded areas to protect you from a summer shower. Choose from canopy awnings, pergolas (with climbing plants), more playful tiki umbrellas or a movable cabana. There are plenty to choose from. One of the greatest benefits of having decking in your garden is that it provides you with the perfect place to entertain your friends and family. This is why creating a communal area where you can relax and enjoy each other’s company is a great idea. Whether you set up a dining area with a table and chairs, or a snug with cushioned seating, making sure there’s somewhere for everyone to socialise is always beneficial. Summer days quickly turn into summer nights, and after a day of sun the nights can turn colder. As an added feature to keep you and your guests warm, find a way of incorporating a source of heat. If you have room, a fire pit will become an easy focal point, but a chiminea works just as well if your space is limited. There’s no reason why, just because you’re outside, you should be uncomfortable. Get inspired by indoor furnishings and choose cushions, rugs and canopies to make your space comfortable and inviting. There are a number of styles of outdoor sofas and cushioned seating available, so you will be able to find something to work for you. 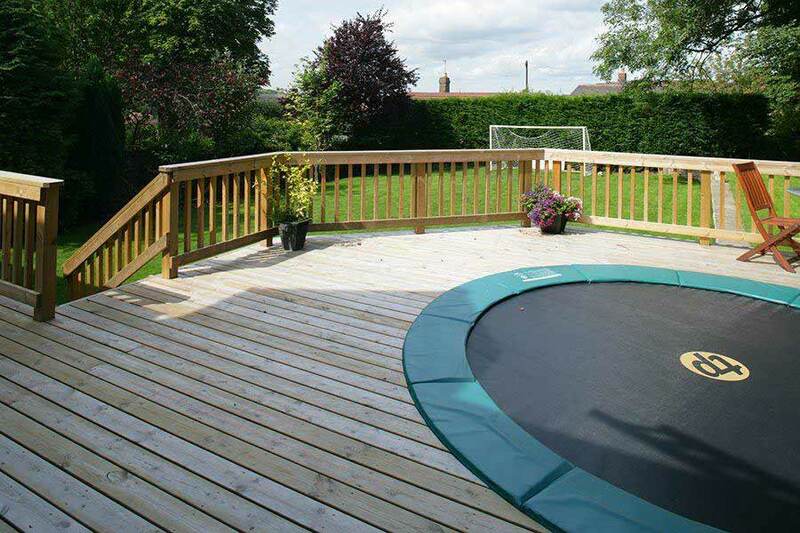 Incorporating some on-decking entertainment could add a fun element to the design. Finding a way to add garden speakers is a must but there could also be space for something larger like a trampoline — perfect for children and big kids alike — or a hot tub for a real party vibe. 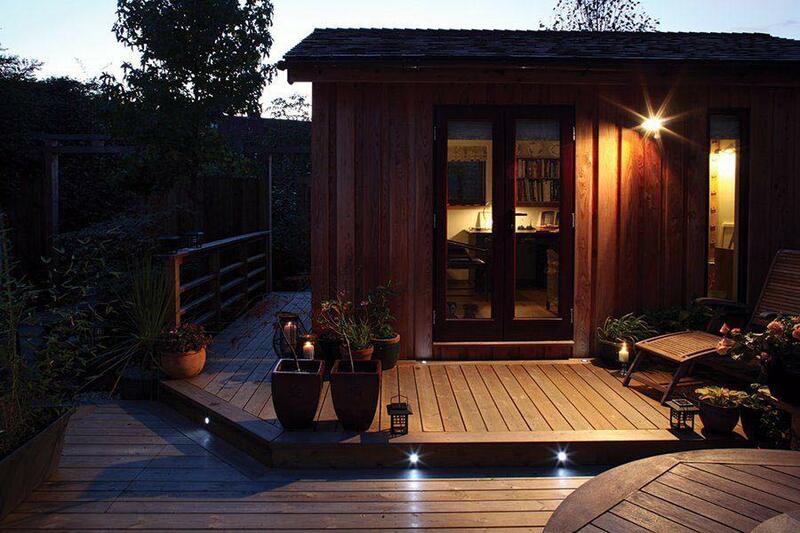 You could make your decking into a private hideaway at the bottom of the garden, or create a hidden nook especially for it. Design a comfortable seated area and surround the space with plants and shrubbery, as well as maybe even some trees, to help create your secret space – and then only share when you feel ready. Think of injecting colour into all of the different elements of your project. Timber decking can be painted any colour with deck stain and composite deck boards come in a wide range of colours making it easy to accentuate areas and create borders or patterns. Don’t forget to add different coloured gravels, plant pots and soft furnishings to help pull your colour scheme together. When night approaches, your choice of lighting can really create the mood. Whether you light candles on your tables, use solar lighting discreetly placed around the decking, or hang outdoor fairy lights – they will all help to completely transform your garden.